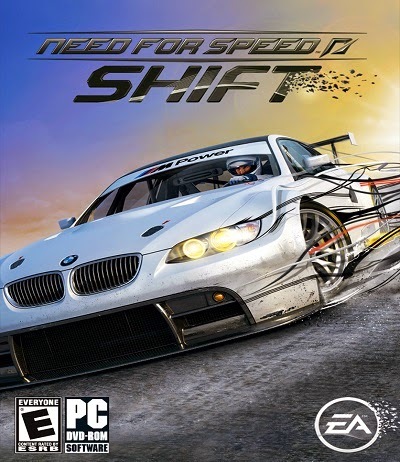 Need for Speed: Shift is the 13th installment and second reboot of the long-running racing video game franchise Need for Speed; published by Electronic Arts. It was announced in December 2008 as part of a three-game announcement that includes Need for Speed: Nitro and Need for Speed: World. Developer: Slightly Mad Studios, EA Bright Light. Full Game Setup File Available. 1. First Click on NFS Setup.exe To Install. 4. All Process Done Automatically .... Click Yes If a Popup Comes. 5. After All Done. You Can See a Game Shortcut On Desktop. Just search and download - d3dx9_41.dll. I think its fixed your problem. Download it from direct link. Our games are 100% tested and working well bro. i've install the game but it keep stopped working..can you help? What erroe you got. Tell me then I can give you a solution. Which one bro. Torrent or Direct ?? add other nfs series like undercover, run, rivals..
search in google for it. downloading 1.9gb of 1.9gb (96%), then suddenly it showed file downloaded succesfully..
wen i extract the archieve file i get only .arc file.. its 1.8gb..
OK bro. We will check and fix this link. Check your mail inbox. We send it to you. when install it needs internet connection to download additional files? No. All files are included. physxloader.dll problems! plz give me it's solution!!! game crashes at first race... what should i do? Stopped Working in loading carrer menu,why?? i have the same problem when i launch career mode, help help!!! its not working for me.. after 23%od downloading it says its done but it was not.just some file 3mb was downloaded. Try download it again. I think you have some server issue. dear admin can u make it a bit lighter, I mean 2 GB is quite much, and I can't download all your games under 300 can be download, please if you can decrease its size or simply reply me to get it from flipkart or somewhere else. If we decrease it then we need to cut many files. Its not good for the game. Why it stoped when launch the career mode? Wait for a repack version. Please update new games thanks.